Blood pressure is one of the things that your doctor will check every time you go for a visit. It’s important to keep it controlled during pregnancy in order to guarantee your baby’s healthy development. Having a high blood pressure during pregnancy is known as preeclampsia, and it’s a situation that could cause plenty of complications. Around 5% of all women who are pregnant have preeclampsia. It’s more common amongst women who are younger than 20 and older that 40, or those who are expecting twins. Preeclampsia usually manifests during the second trimester, after week 37, but in some cases, it could manifest before or in the last few weeks of pregnancy. Sometimes it can even make itself present during delivery or after giving birth. Preeclampsia can vary in intensity, or work its way with time into a more severe stage. 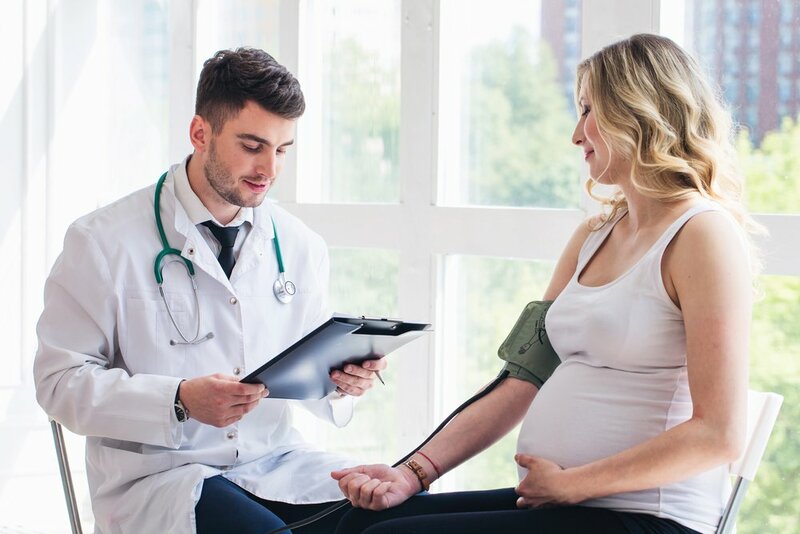 Preeclampsia is riskier when it presents severely during the first weeks of pregnancy since it contracts the blood vessels causing high blood pressure, and possible damage to some body organs. Some symptoms that could be present are vomit, sight alteration, facial swelling, and swollen feet or hands. If you find yourself presenting any of these symptoms you should rush to your doctor to get screened. A healthy diet is so important for taking care of yourself. Fruits and veggies are a must, and so is exercising regularly. Exercise will help you adjust and keep a healthy organism. Remember going to your doctor if you notice something that isn’t normal. Don’t freak out if your doctor diagnoses you with preeclampsia, follow instructions and take your medications. Don’t worry; you’ll soon have your baby in your arms!